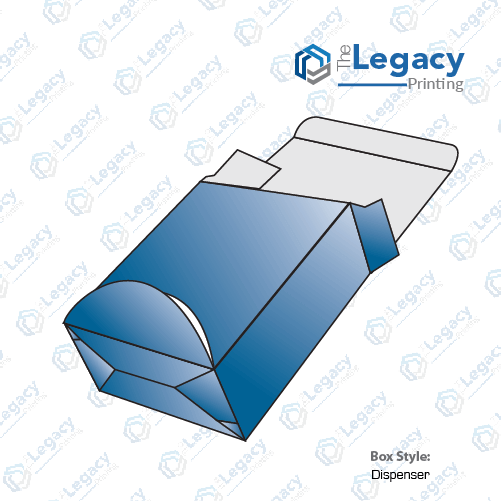 Custom designed tuck in dispenser boxes are the ultimate solution to selling your small retail products. 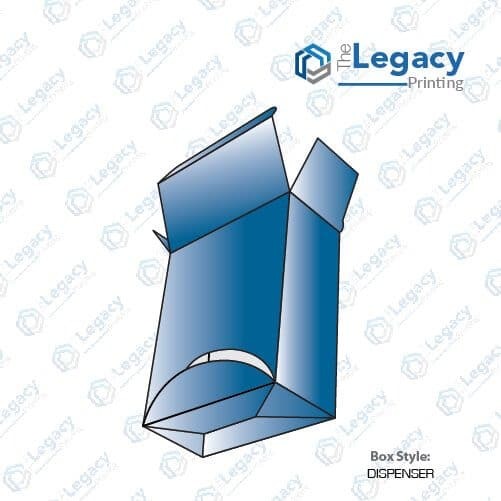 They are a basic dispenser packaging type that comes with a tuck top and can be further customized as per your business needs. 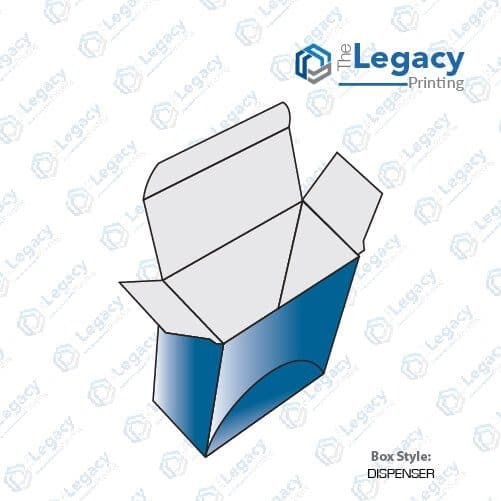 At The Legacy Printing, we make sure to use premium quality cardstock and inks so that the final product stands out on the racks. 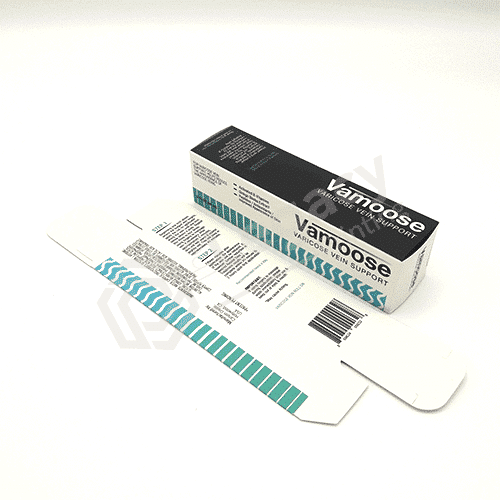 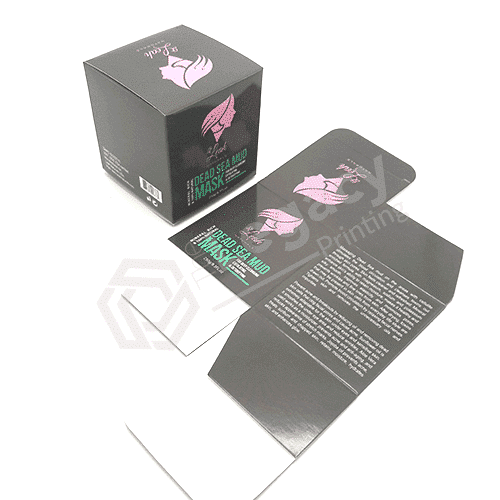 The tuck in dispenser packaging is best suited for lightweight products. 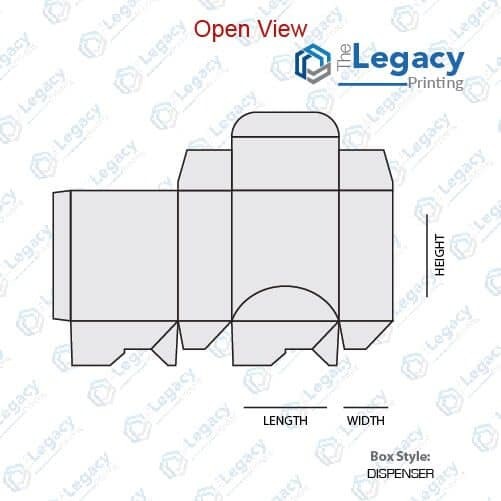 If you don’t have the design ready for your custom tuck in dispenser box, let us know and we’ll get it designed for free. 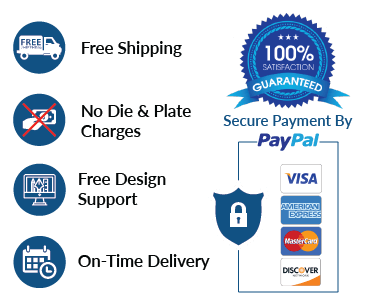 We ensure optimal turnaround time and offer free of charge delivery of your order at your doorstep.